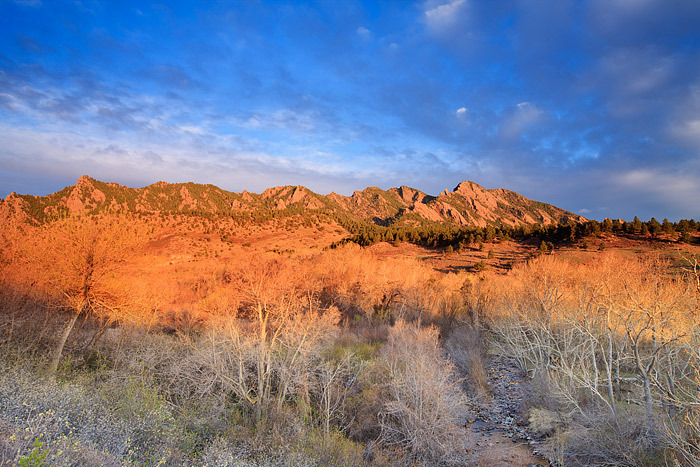 The cloud cover over the south end of the Flatirons and South Boulder Peak open up just enough to allow for the first rays of light to coat the peaks around Boulder, Colorado. South Boulder Creek cuts through the bottom of the frame and the spring buds on the trees are just starting to bloom along this portion of Open Space property. Photo © copyright by Thomas Mangan.